True. 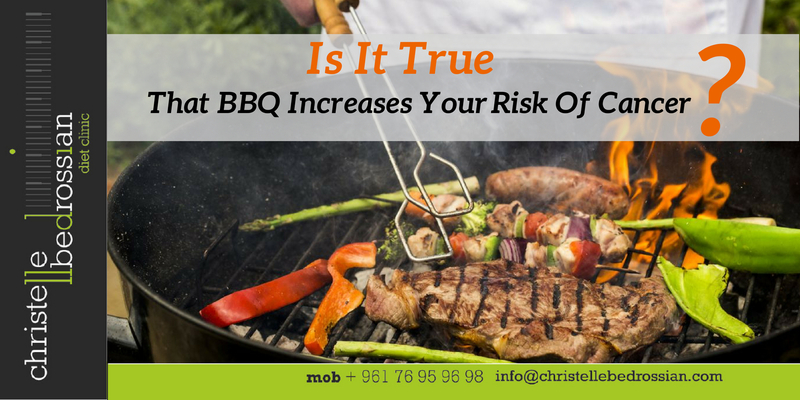 Two cancer-causing (carcinogenic) byproducts are associated with barbecuing red meat, poultry, lamb, pork, and fish. The 1st one is formed due to the high temperatures occurring when meat is overcooked and the 2nd one is formed when fat drips onto the coal or hot surface and the smokes are carried to the food. (Next Entry) Is It True That Omega-3 Is Crucial For Our Health?